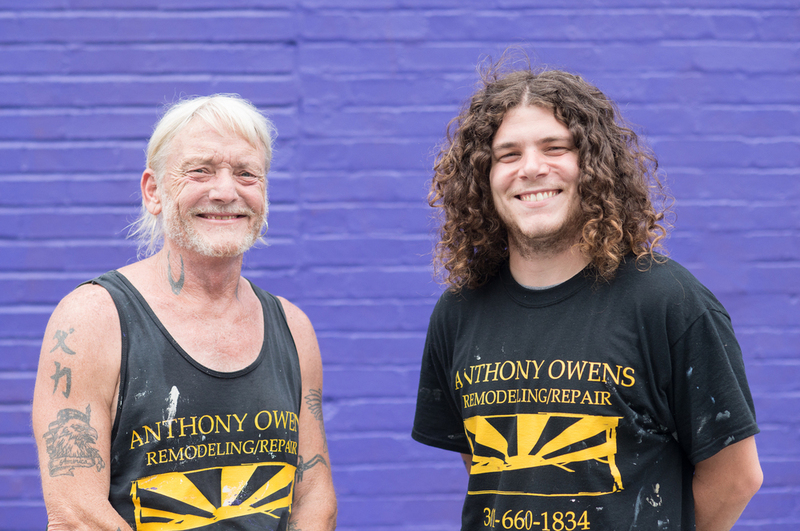 It's taken me a while to catch up with Anthony, he moves fast and I've been waiting to find him with the perfect background, who can resist a bright purple wall ? I recently heard him described as a cockroach, which I thought was a bit uncharitable until the other person explained that if you dropped a nuclear bomb on Frederick the only thing left standing would be the ubiquitous Anthony Owens signs - they are everywhere. But not only does he work his tail off for his own construction, he is incredibly active supporting local charities, especially the homeless. Definitely one of the characters that provide the fabric to make Frederick great.